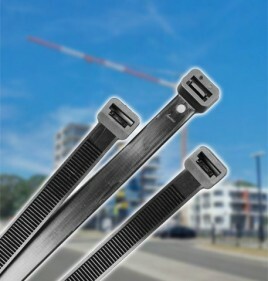 Ideal for securely fastening items together, cable ties can be used for a wide range of applications within the home, on the farm, and even on construction sites. They’re also an affordable option, allowing you to keep costs low while receiving a strong fastening solution. Whether you need to tie up cabling to keep an office tidy, secure signs to a fence, or fasten anything else, the cable ties available from Ace Equipment are sure to satisfy your requirements. Offering a great range of wholesale cable ties in various sizes, Ace Equipment aims to provide customers with the best possible value. Browse our online selection or contact our team today on 0437 014 327 to learn more about our available options.